Diamond Set,Solitaire white gold 18 k See Specifications for more details. SHIPPING DETAILS Delivery Type: Door..
Blue Sapphire And Diamond Ring Set in a 14k White Gold (0.95ct Bs)See Specifications for more details. SHIPPING DETAILS &nbs..
Blue Sapphire And Diamond Ring Set in a 14k Yellow Gold (0.95ct Bs) See Specifications for more details. 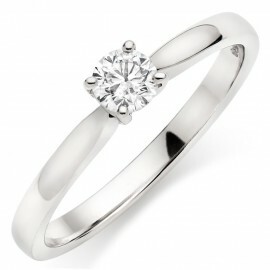 &..
Diamond Set,Engagement,Solitaire white gold Engagement Ring made in 18k Gold See Specifications for more details. SHIPPING ..
Diamond Set,Solitaire,Stone Set,Stone Set Shoulders white gold Engagement Ring made in 18k Gold See Specifications for more details. SHIPPIN..
Diamond Set,Engagement,Solitaire,Stone Set yellow gold Engagement Ring made in 18k Gold See Specifications for more details. &nbs..
Engagement,Solitaire yellow gold 18k See Specifications for more details. SHIPPING DETAILS Delivery Type: Doorstep&nb..
Diamond Set,Engagement,Solitaire,Stone Set Shoulders white gold Engagement Ring made in 18k Gold See Specifications for more det..
Engagement,Stone Set Shoulders,Solitaire white gold 18k See Specifications for more details. SHIPPING DETAILS Delivery Type..
Engagement,Solitaire,Channel set,Diamond Set white gold 18 kSee Specifications for more details. SHIPPING DETAILS Delivery Type: Doors..
Crossover,Diamond Set,Solitaire,Stone Set white Gold 18k See Specifications for more details. SHIPPING DETAILS Delive..
Diamond Set,Solitaire,Stone Set,Stone Set Shoulders white gold Engagement Ring made in 18k Gold See Specifications for more details. &n..
Diamond Set,Engagement,Solitaire,Stone Set white gold Engagement Ring made in 18k Gold See Specifications for more details. SHIP..
Diamond Set,Engagement,Solitaire,Stone Set white gold 18k See Specifications for more details. SHIPPING DETAILS Deliv..
Diamond Set,Engagement,Solitaire,Stone Set yellow gold Engagement Ring made in 18k Gold See Specifications for more details. SHIP..
Diamond Set,Engagement,Solitaire,Stone Set,Stone Set Shoulders white gold Engagement Ring made in 18k Gold SHIPPING DETAILS Deliv..
Diamond Set,Engagement,Solitaire,Stone Set white gold Engagement Ring made in 18k Gold See Specifications for more details. SHIPPING DE..
Diamond Set,Engagement,Solitaire,Stone Set white gold 18k Engagement Ring made in 18k Gold See Specifications for more details. S..